A few occasions throughout this blog you have and will see me mention the fact that many autoimmune diseases as well as infections such as Candida is triggered and manifested and can actually grow to an uncontrollable level because of the repressed emotions our body clings too. Metaphysical or spiritual causes of candida overgrowth may include relationship issues, fear of authority figures (mom and dad), doing too much for other people, frustration, anger, energies feeling scattered, confusion, feelings as if we are not worth it, feeling as if other people are more important than you and more. Even if we follow the “diet” to the T, if we don’t do the hard, digging deeper, gritty, emotional work…we will continue to live with the autoimmune diseases, hormonal imbalances and candida imbalance or simply put “infections” within our body. We have to get to the root cause to solve the issues for good. Some of us have deep rooted fears from childhood that we have pushed deep down and we continue to tell ourselves that “it’s OK”…and we are “alright” without ever revisiting the situation and releasing those emotions. Putting up with the disease in your body is almost like a defense mechanism. Your body will attack itself with things like candida, MS, diabetes, thyroid disease, asthma, allergies, arthritis, obesity and more. It’s a pattern of feeling hopeless, helpless, powerless and it’s a pattern we continue to repeat. These emotions get stuck in the body and diseases spiral out of control. I’m not sure about you but I was a particularly sensitive child. I picked up on things like adults fighting around me. I tried to get into the middle to alleviate those arguments but I would then take on some of the aggression and nasty feelings stemming from those arguments. I held onto the negative things adults would say to me, and I would let bullies walk all over me. I grew up in an unhealthy competitive environment that was a breeding ground for negatively attacking my physical body and how it looked and I developed an unhealthy relationship to food and self medicated with it. I developed a nasty chronic binge eating disorder that would last for many years. Followed by restricting food as well. This continued into adulthood and I guess I didn’t recognize (or I didn’t want to recognize) the nasty cycle I was in. It spread into all aspects of my life including my romantic relationships and friendships and also played a role in poor decision making throughout my late teens and early twenties. 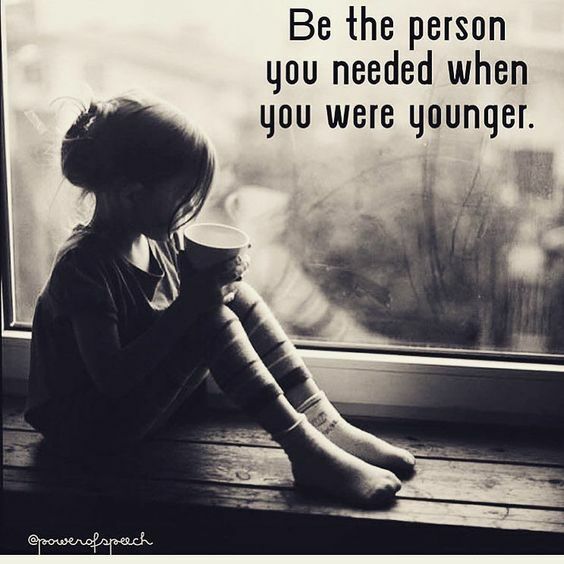 Unfortunately many of my emotional needs were just not met the way they were supposed to be throughout childhood and I struggled for many years afterwards. The Candida and autoimmune symptoms worsened into my late twenties. From athletes foot, to water blisters that would burst and crack into painful red swells on my hands, dry brittle hair, recurring yeast infections, so many food intolerance, unhealthy gut and digestion, mild depression and a desire to want to hide away because all of the nasty symptoms coming out of every pore for the world to see. I was physically and emotionally in pain and it made for quite the unhealthy mix. Now I am working on all these things I mentioned above. I have gotten the binge eating under control and no longer have the desire for it. I have been working on the candida issues, addressing everything from the food that I eat, unhealed and repressed emotions, shadow work and inner child work. I am still quite sensitive discovering that I am infact an empath…however I am learning healthy coping mechanisms to let that energy flow right through me rather than holding on to it or turning to food. More on that later! This was taken last year almost 30 days into my first ever candida cleanse. It has to do with so much more than food, though. You really have to work on everything from your emotions to meeting any needs that were never met from childhood. Blogging helps as well as keeping a journal about past and present feelings as well as meditation, spending time outside and in solace. I am determined to solve this at the root and hopefully you will come along for the ride!